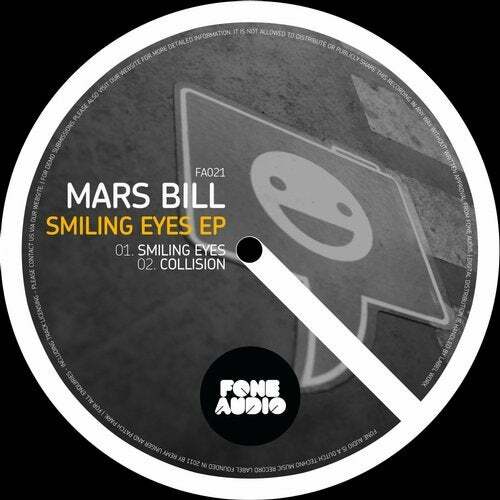 For our next release we welcome Italian DJ and producer Mars Bill. He delivers two high quality techno stompers, the infectious hook in 'Smiling Eyes' combined with it's ongoing energy makes it an essential track for this summer's dance floors. 'Collision' on the other hand goes a bit deeper and is perfect for the later hours.